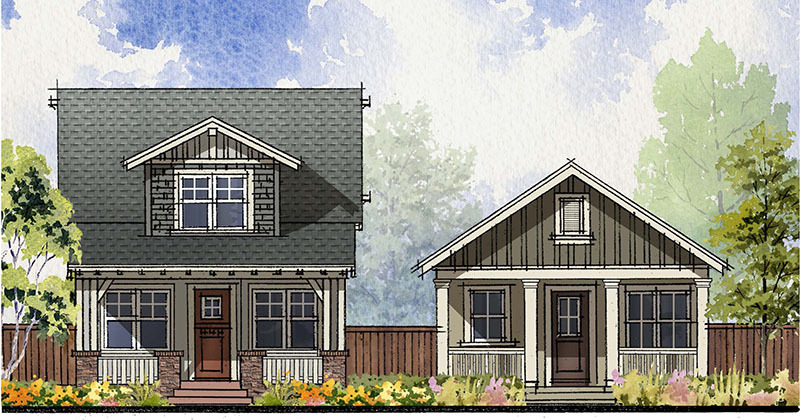 Acacia Village is a “for sale” residential development of 19 cottages with remote garages, and 6 two-story single-family homes arranged around a traditional village green in the City of Santa Rosa. Santa Rosa is located 45 miles north of San Francisco in the Sonoma wine country region of the Valley of the Moon. The project is being developed in partnership with the City of Santa Rosa who is investing $1.1 million into the project for off site infrastructure. City approvals are anticipated in late 2018 and construction will commence in early 2019.